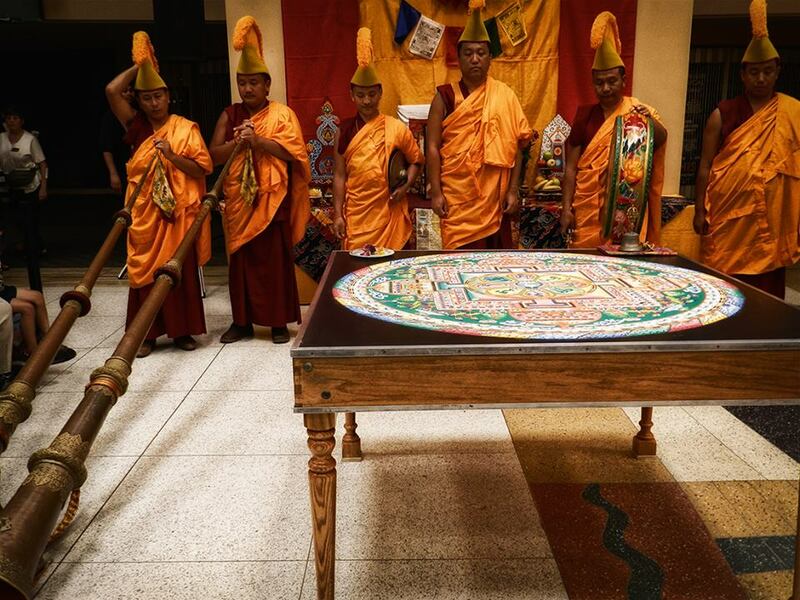 This past week, Albuquerque was fortunate to receive a visit from monks of the Drepung Losling Monastery. The monks worked over several days to create a beautiful sand mandala, taking a few sand grains at a time and placing them within the design. 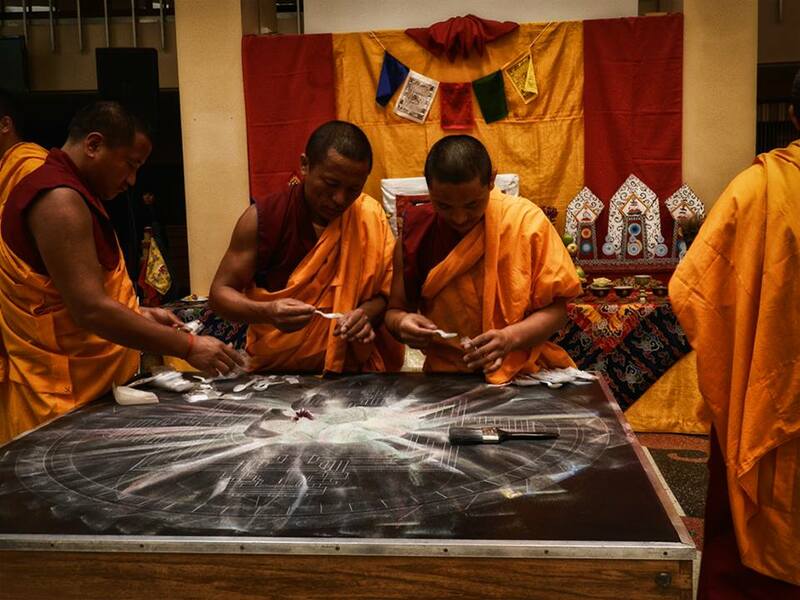 After this painstakingly detailed process was complete, the monks then held a ceremony to remind us of the impermanence of all things, and swept the mandala away. It was a beautiful event. In the meditation with the event, many thoughts arose. We are all given "sand" to work with, every day - the building blocks with which we can build our life experiences. We can choose to move our building materials towards creating something beautiful, something powerful and for the greater good. It is our choice, and every day we must decide where we are going to divert our "sand". At the end of the ceremony, small packets of the sand from the mandala were distributed, to allow attendees to remember the event, and the rest of the sand was taken to the Rio Grande to be released back into the world. In this same way, every day we have the opportunity to sweep our sand that has accumulated away. We can give some to others, or we can simply return it to the world and start again with the building blocks we will be given throughout the new day. Sometimes we have trouble sweeping away the sand, and hold on to portions of it. These accumulations build up in our bodies and minds over time - the days, months, even years it took to accumulate them, every day maybe adding a little bit more to the conglomerations. Like grains of sand, our every day actions can build up over time and create larger presences in our lives than we maybe would like. Let us work together to better utilize our clean slates. It doesn't matter how much "sand" you swept away yesterday. Today is a new day - the possibilities are infinite!